Sadio Mane is unlikely to be fit for Liverpool's game against Bournemouth on Wednesday after picking up an injury during this afternoon's Merseyside derby victory, Jürgen Klopp has confirmed. The Reds’ No.19, who opened the scoring early in Saturday’s 3-1 win over Everton at Anfield with a brilliant individual effort, was forced off 12 minutes into the second half after a collision with Leighton Baines. 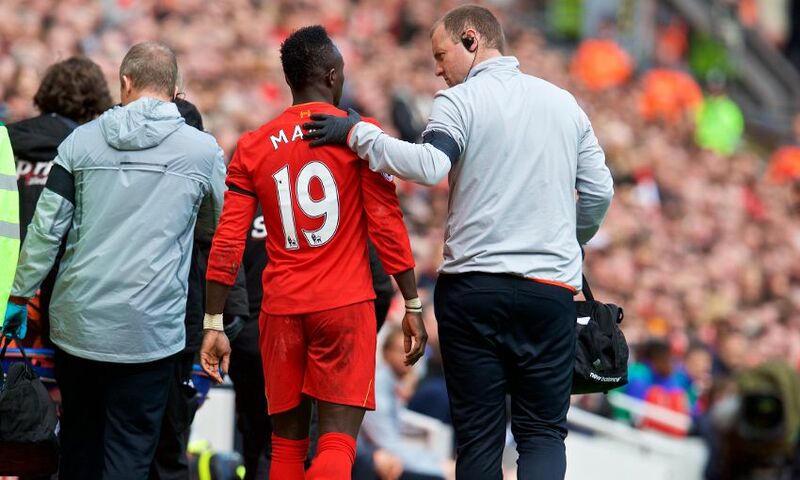 Klopp provided an update on Mane’s condition in his post-match press conference, with the Liverpool boss revealing the forward is set to miss the midweek home meeting with the Cherries. “Today we played a really good game. Nearly everything was perfect, we win it, the performance was good [but] then we lose Sadio Mane. When I saw him in the dressing room, it didn’t look like he’ll be ready for Wednesday,” said the manager. When asked to clarify what type of injury Mane had sustained, Klopp replied: “I don’t know exactly, I don’t want to speculate now.